On May 23, a car accident with minor injuries was reported. The accident occurred along the southbound lane of Route 95. First responders were first notified of an accident near Exit 24 at 2:57 p.m. The emergency responders arrived on the scene shortly after. This crash is still under investigation by emergency personnel. No deaths were reported and the extent of the injuries is under review. 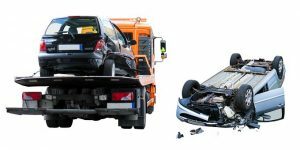 While the cause of this accident is still being investigated, car accident injuries and the impacts of negligent driving can be quite serious. Drivers share the road with other people and have a duty of care to everyone else around them. Drivers who act negligently and cause accidents could be held responsible, and victims who are injured in these accidents can seek compensation and help for their injuries. Victims deserve to receive assistance for their injuries to help them recover and move forward. We at the Law Offices of Jeffrey S. Glassman are concerned members of our community and strongly urge all drivers to use caution when behind the wheel. Vehicle accidents can be severe, and we all need to do our part to stop them from occurring. However, accidents do still happen, and we are also here to help victims as they seek to recover their rights and get the help they need to return to their lives.